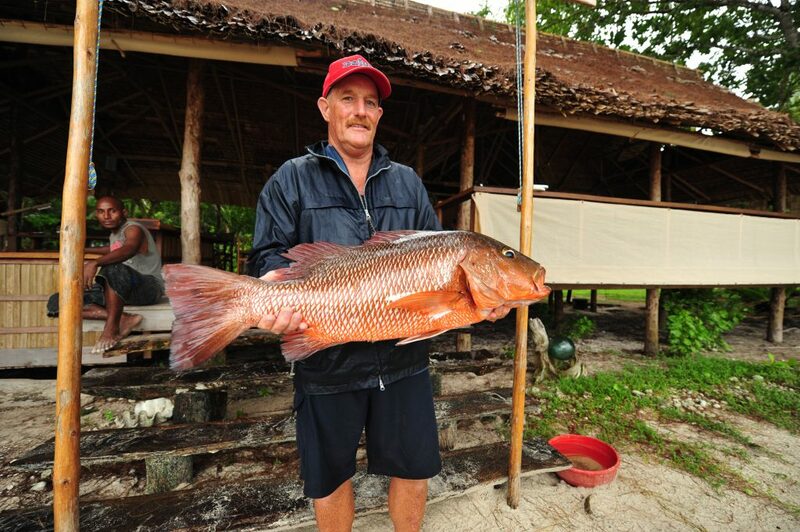 If you have a passion for next level adventure fishing in remote and unspoilt locations then the Solomon’s is a must do fishing destination for you. 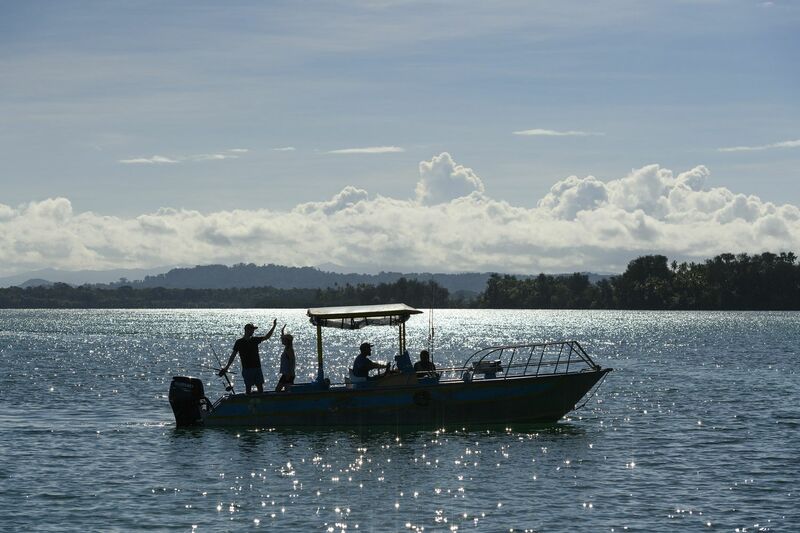 A hidden gem in the Pacific, many parts of the Solomon’s still remain undiscovered by mainstream tourism, preserving the natural charm, culture and magnificent sport fishing opportunities. Situated in the Coral Sea between Papua New Guinea and Vanuatu in an area boasting the highest marine biodiversity on the planet, the waters surrounding the Solomon’s are literally teeming with fish. With favourable weather conditions throughout the majority of the year and over 900 coral reef fringed islands and atolls in the archipelago to choose from, the fishing options are endless. Cast poppers and stick baits along the crystal clear shallow reef flats for trevally, mackerel, coral trout, red bass and many other species. Troll for big Spanish mackerel, wahoo, yellowfin and dogtooth tuna around the reef edges. Drop soft plastics or bait to tangle with big coral trout, green job fish, saddle tail snapper, big reef jacks and red emperors. Cast to prolific schools of surface feeding tuna in the blue water and around the many FADs and seamounts where you can also troll for billfish, yellowfin tuna and mahi mahi. 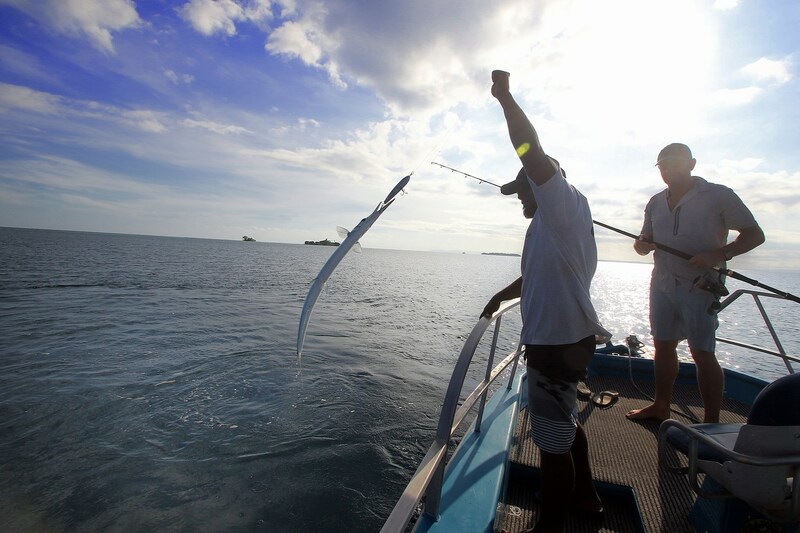 Solomon Islands, the last frontier in adventure sport fishing. River fishing include Spottail Bass, Mangrove Jack, Perch, Archerfish, Trevally, Sleepy Cod, and more. For a memorable adventure experience book through any of the popular fishing Resorts or Fishing operators. The endless pristine coral reefs and lagoons provide world class surface fishing for monster giant trevally on poppers and stickbaits. Other species commonly encountered are big dogtooth tuna, bluefi n trevally, red bass, coral trout, Maori wrasse, plus many more. The surface action is something to behold with fish smashing surface lures so regularly and aggressively that every cast is made with intense anticipation.